DTE Energy has roots dating back more than a 170 years to what was once the City of Detroit Gas Company. It began in 1849, before Edison’s invention of the light bulb, when Lemuel Davis, from Philadelphia, began providing manufactured gas to power street lights in the City of Detroit. Since then, the company name has changed many times, but throughout the years the company credo has remained committed to providing safe and reliable energy. Fast forward, the company’s midstream services began to take shape in the 1950s, when the company developed natural gas storage fields from depleted oil and gas reservoirs in Michigan. DTE’s pipeline and gathering expertise flourished in the 1970s and throughout the 1990s, when it supported its native state’s development of the Niagaran Reef followed by the Antrim Shale formations. Today, DTE Midstream is an active participant across the Midwest, Appalachia, the Northeast and Eastern Canada region, owning interstate pipelines, gas storage and gathering assets. 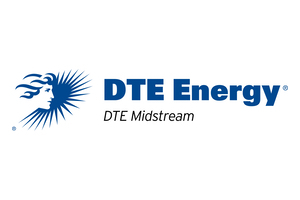 Its focused strategy has positioned DTE to play an important role in the development of the Marcellus and Utica. The company quietly tackles complex and large (>$1 billion) infrastructure projects, e.g. Millennium, Bluestone, Link, and Nexus, and does so with the common blessing of landowners and regulators alike.